As my next Ebay bargain post will be only after Christmas, I though this would be a great opportunity to show you a dress that in my mind is absolutely gorgeous & therefore perfect for this holiday season.I chose this weeks bargains starting from the dress & all the items, in my mind, would complement the dress in a really nice way! Yes, dear Maddie, I like your bargains – really! And mostly I buy at least one piece 🙂 Today my favourite is the dress, it is so beautiful! Thanks a lot for your effort, I really appreciate this. i totally agree that this dress is gorgeous and definitely perfect for the holidays! love your picks. LOVE that dress, it's so pretty and perfect for the holidays. OMG, that dress is so amazing!! My first thought about this dress and heels was 'ice queen' I love it. Oh my goodness those finds are amazing, 😉 I just want that dress. Love this! Please check out my blog http://www.loveolia.com! I love the red accents! This look is fantastic, very great choices! Sparkling pumps are to die for. Oh my and the RED ACCENTS does it all for me! I'd really wear that! Have a good Xmas time beauty! I really need to shop at Ebay more because they have great products at great deals! I adore the glitter dress. Yess, love them!! The dress is amazing! The dress is amazing!! 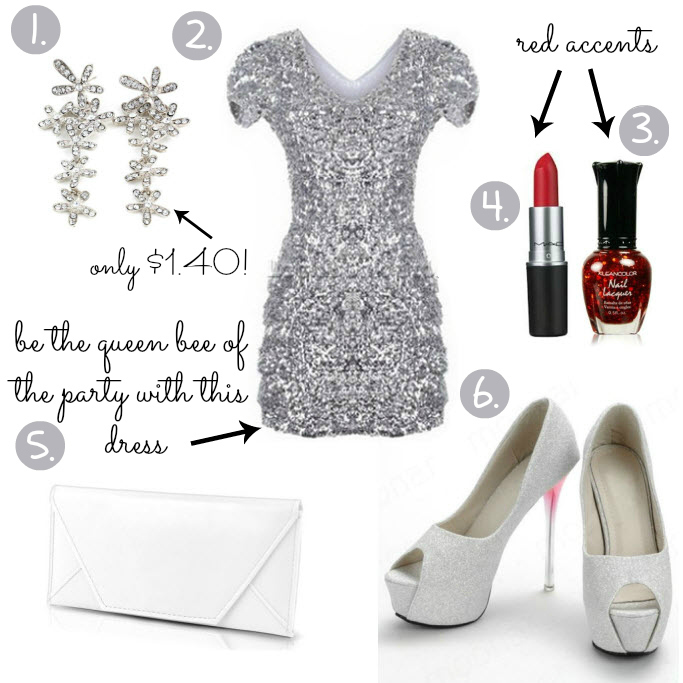 Perfect for NYE!